To launch the ICA’s annual commission series, Provocations, artist Rashid Johnson (b. 1977) will create a new, large-scale work that responds to the soaring, light-filled expanse of the ICA’s top-floor exhibition space, the True Farr Luck Gallery. The Provocations series takes its name from Steven Holl’s design intention for the ICA’s top-floor gallery space, which he calls “a provocation for artists to engage.” The True Farr Luck Gallery features a sculptural ceiling, cathedral-like acoustics, and ample natural light that filters through opaque glass. 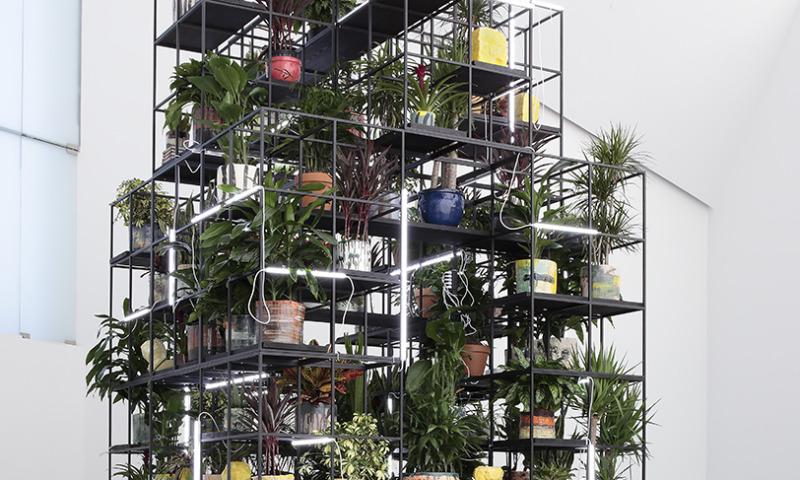 Rashid Johnson conceived this new installation, Monument, as a site of both contemplation and collaboration. Visitors are invited to move around the work and to immerse themselves in its textures and details. Throughout its stay at the ICA, Monument will be activated by live performances created in response to the work.